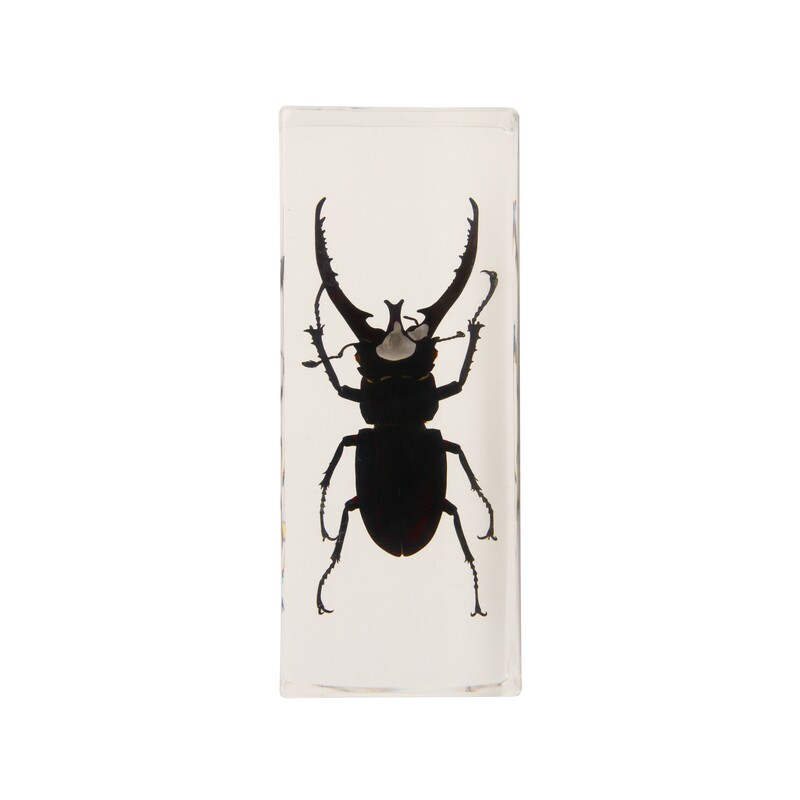 The perfect gift for a collector of insects. 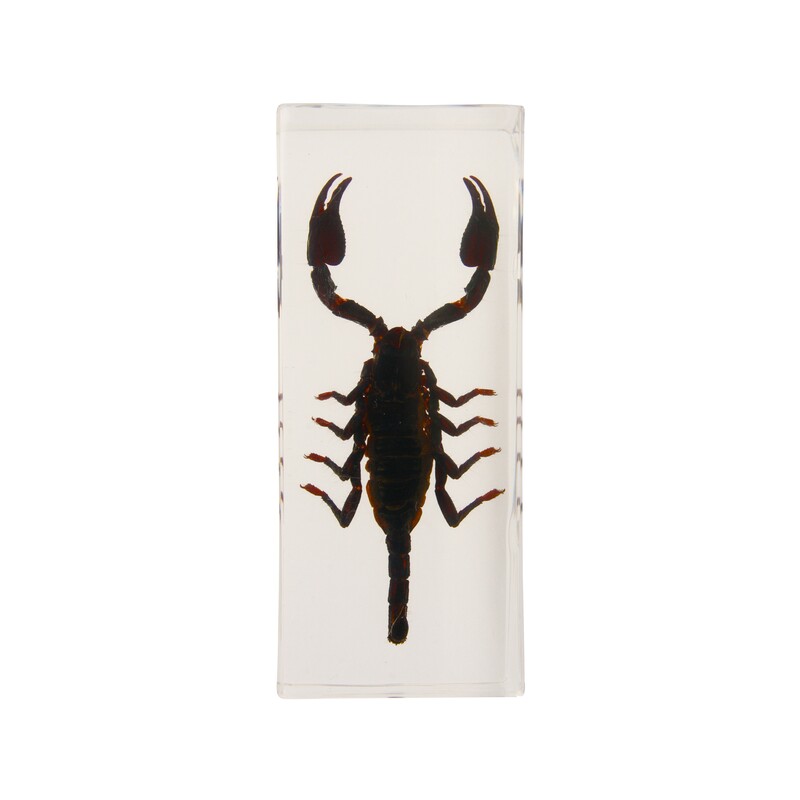 A real scorpion or beetle forged in plexiglas. Examine the scorpion's deadly tail. 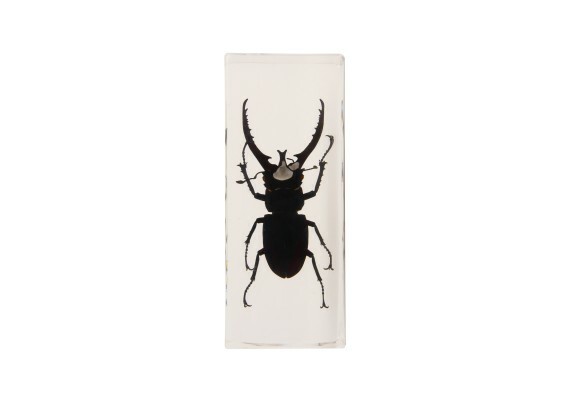 Or marvel over the beautiful silver head of the beetle. Dimensions: 11 x 4.5 cm. Real insects, therefore the size and color can differ from the pictures.